Abu Dhabi, UAE. 27 November, 2013. 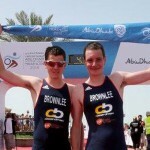 The superstars of Triathlon continue to make their way to Abu Dhabi with reigning Olympic Champion Alistair Brownlee and his brother Jonathan, 2012 World Champion both confirmed to open their seasons in the Emirate on March 15th. Now entering its 5th year on the calendar, the Abu Dhabi International Triathlon, organised by Abu Dhabi Tourism & Culture Authority, has firmly established itself as the chosen opener for the world’s leading Triathletes, a must do event for age group athletes. The event offers participants the opportunity to compete in long, short or sprint distance routes while taking in the breathtaking scenery of the UAE capital. 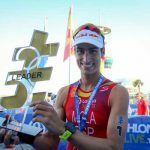 Frederik Van Lierde’s win in the long distance wave at this year’s Abu Dhabi International Triathlon set him up for a tremendous season, culminating in his victory at the Ironman World Championship in Kona last month, while Melissa Hauschildt scooped the title in the women’s discipline. 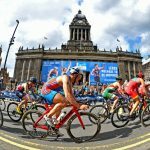 The Brownlee brothers will go head to head, with 2012 ITU World Champion Jonathan hoping to clinch the title from the event’s current reigning champion Alistair. 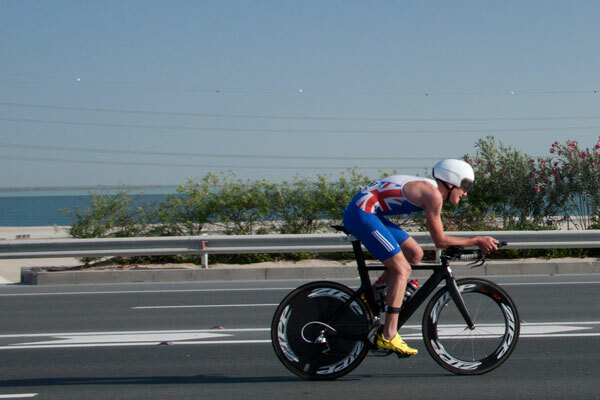 Alistair is looking for a strong start to the year following a tough injury-ridden season which saw him bow out of the ITU World Championships. For those wishing to compete in the short course there will be added incentive to go for gold with a prize sum of $15,000 on offer, adding a jewel in the crown to an already irresistible event. Next year’s Abu Dhabi International Triathlon marks its fifth anniversary, with a record number of entries and participants set to take part in the spectacular sporting experience. Although entries opened only one month ago, over 50% of places have already been snapped up, 40% of which to previous participants. Starting in the shimmering turquoise waters off Abu Dhabi’s Blue Flagged public beach, the course will weave its way along the Corniche to the spectacular Yas Island and around the Yas Marina Circuit, home to the annual Formula 1™ Etihad Airways Abu Dhabi Grand Prix, before returning to the heart of the UAE capital. The Abu Dhabi International Triathlon offers three course distances; the 223km ‘long course’ (3km swim, a 200km cycle and 20km run), the half-length ‘short’ course (1.5km swim, a 100km cycle and a 10 km run) and the sprint course (750m swim, a 50km bike and 5km run). Both the ‘short’ and the ‘sprint’ can be run as a team relay. Organisers have frozen athlete registration fees for the fifth year in a row. 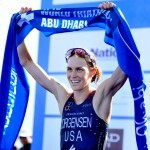 Athletes interested in entering should visit www.abudhabitriathlon.com and, after clicking on the ENTER NOW link, simply follow the instructions. Entry fees for the long and short distances are US$190 (AED 695) and US $130 (AED 475) respectively, while Sprint course rates are US$75 (AED 275) for individuals and US $120 (AED440) for a team. The fee for the team relay is US$280 (AED1,022).